Nirvana City of Music is a Apartment project carefully and aesthetically designed and developed by Disha Direct. 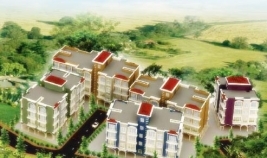 It is situated at a very serene and nature friendly location in Pali Pali, Raigad, Maharashtra. 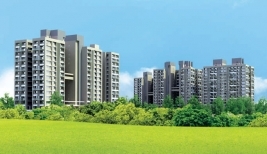 Nirvana Realty has launched City of Music, offering 1/2/3 BHK apartments for sale. 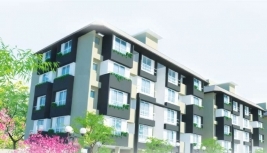 this residential venture is located at Pali in Raigad. 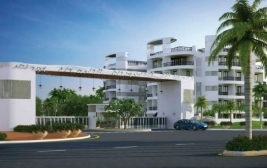 The buyers can enjoy amenities like swimming pool, children playground, club house, 24x7 security, landscaped gardens, meditation and aerobics room, spa, party lawn and gazebos, and many others. The mode of availability is only through the developer. A small town situated in the district of Raigad, Pali is around 98-km from Mumbai. The main thoroughfare of this area is the Mumbai-Pune Expressway. It is mostly known as a tourist destination which offers options of trekking. Size: 1106 Sq.Ft. and 1331 Sq.Ft. Size: 545 Sq.Ft. to 1565 Sq.Ft. Size: 525 Sq.Ft., 625 Sq.Ft. and 904 Sq.Ft.